These Kansas City Royals Throwback Powder Blue Pennants are perfect for showing your team spirit in any room of the house, office, man cave, or garage. The Kansas City Royals Throwback Powder Blue Pennant is a full size (12x30 inches) pennant and is single-sided screen printed with the logos and insignias, as shown. 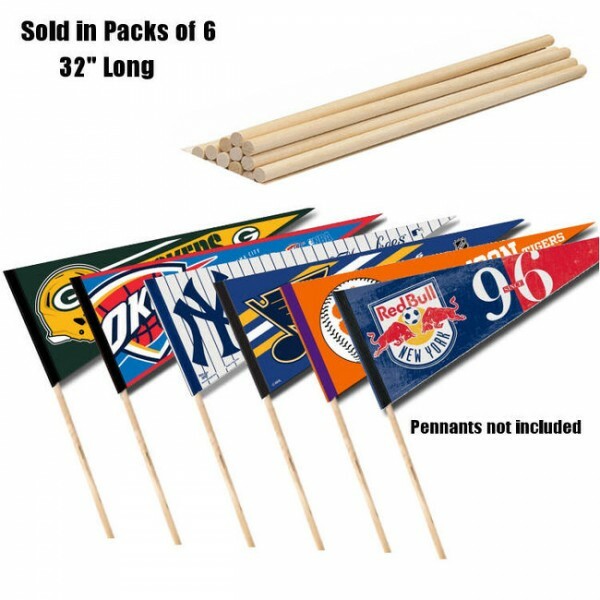 The pennants are made of soft felt and provide a pennant sleeve for insertion of a pennant stick, if desired. Accessorize your pennant with our Pennant Sticks, Pennant Frames, or buy one of your favorite Sports Pennant Sets.